District Benches are built for durability and ease-of-maintenance with clean lines and modern styling. 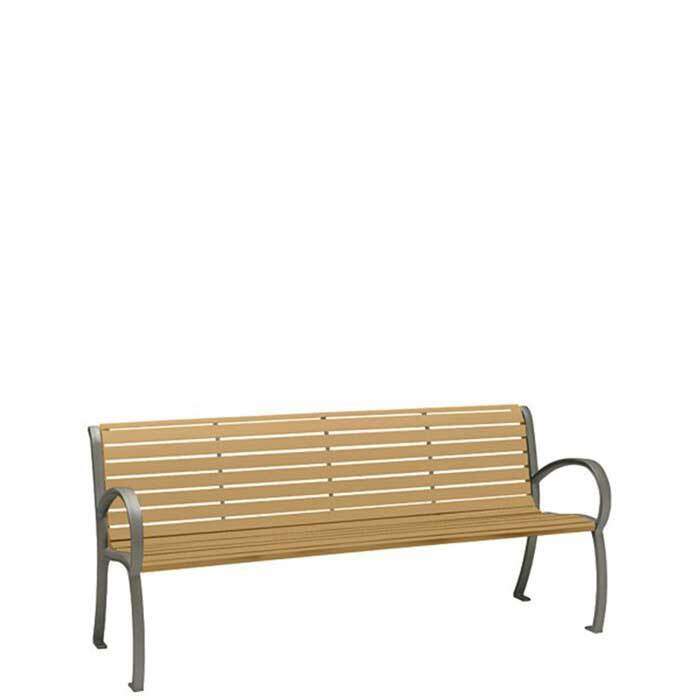 This District 6' Bench is constructed of aluminum and features a faux wood slat design with back and arms. The classic shape allows seamless integration with any style of table or site furnishing.